The two companies I looked at were Dunkin Donuts and Starbucks Both are well known coffee companies with numerous locations. Both have a number of social media sites but I focused on their facebook pages and instagram pages. 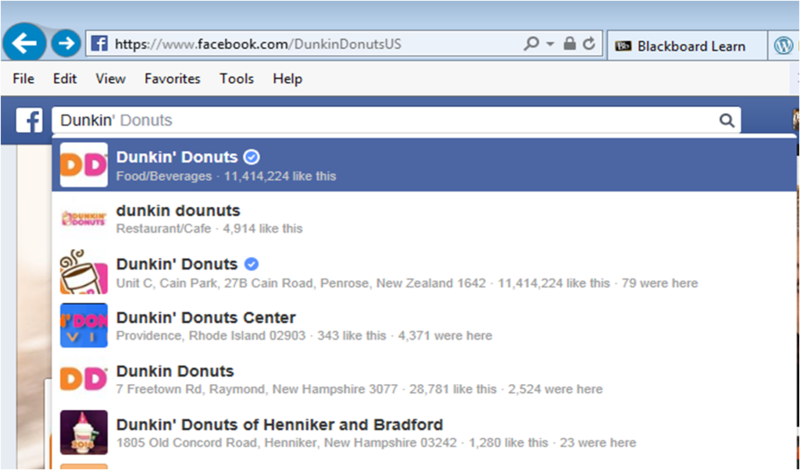 Due to the number of pages on both social media platforms I used the first one that pops up when searching the company. They are definitely looking focused engagement aspect of social media. 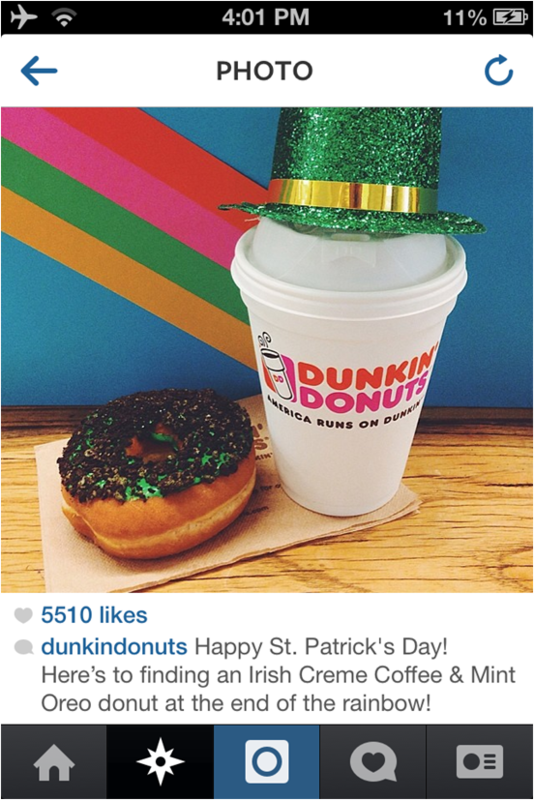 They promote use of the #mydunkin hashtag by using it on all platforms, including their tv commercials. They do not seem to interact with the fans as much as one would expect. They do post questions and have people vote or give their opinion but they do not then follow up with their fans if the fan posts a question or comment that would typically need to be addressed. 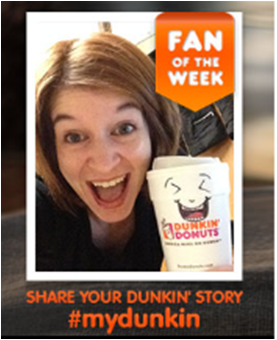 They do have a fan of the week and encourage their fans to post their Dunkin photos. That seems to be working well for them. Definitely helps promote brand awareness. 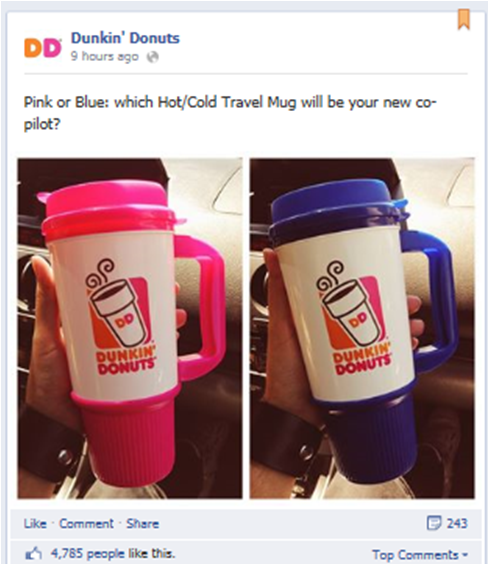 Dunkin Donuts is using the same photos and captions for both their Instagram and Facebook, making is a little less interesting. They do however post to both social media platforms separately. This is interesting because you can link Facebook and Instagram together and post on both at the same time, but Facebook shows that the post came from Instagram. 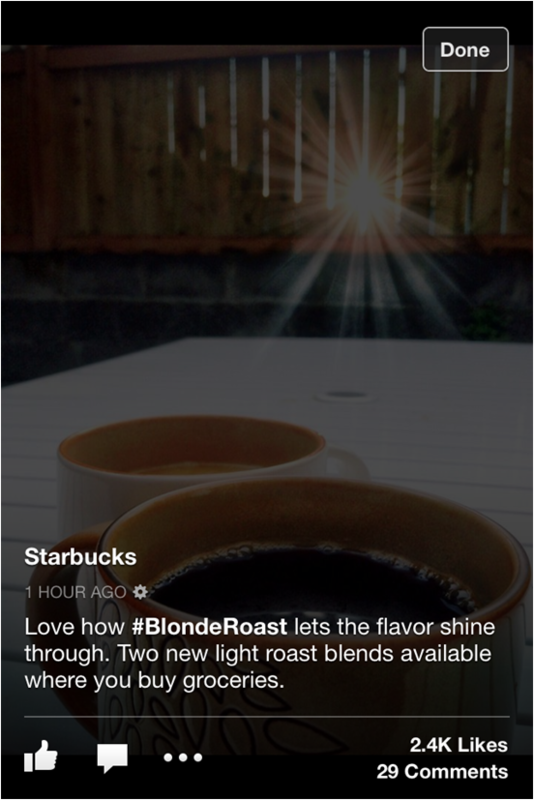 The social posts from Starbucks are mostly focused on coffee. 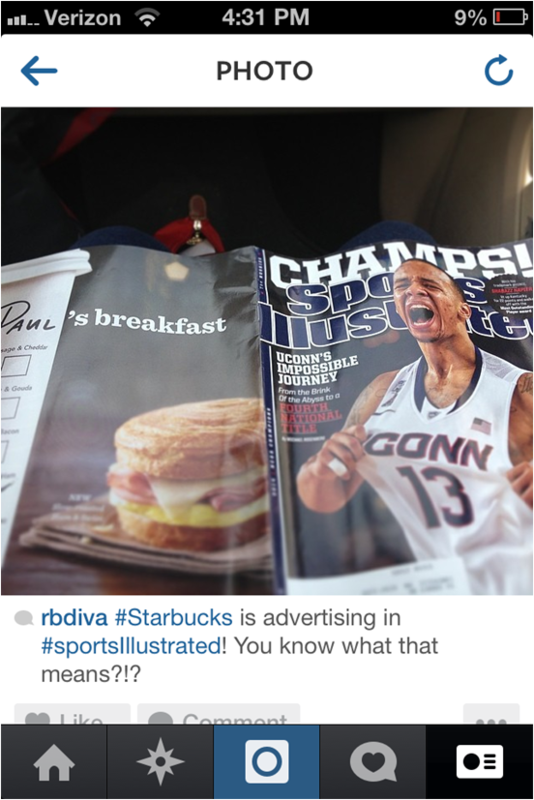 I found this interesting as they just paid huge money to have a full page ad on the back cover of Sports Illustrated promoting their breakfast options. 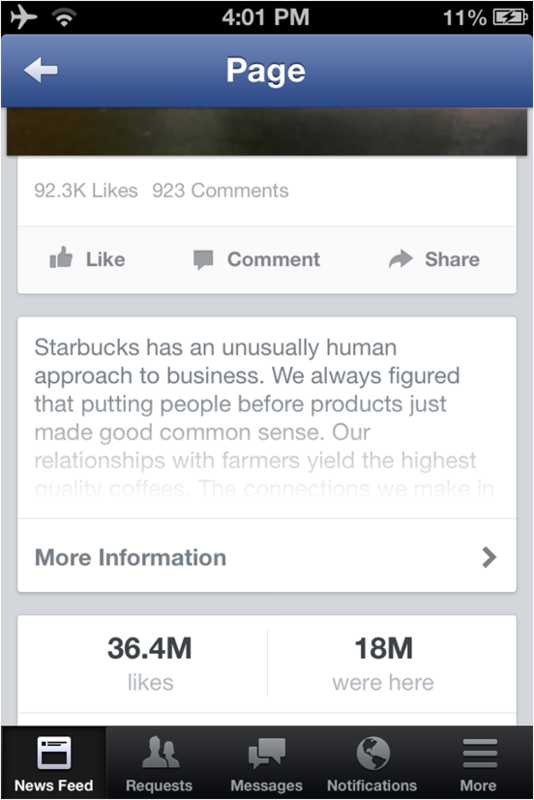 Starbucks is posting to comments and feedback from their fans almost every time on Facebook. They are definitely are having more of a conversation with their fans, making them very engaging but in a different way when compared to Dunkin Donuts. 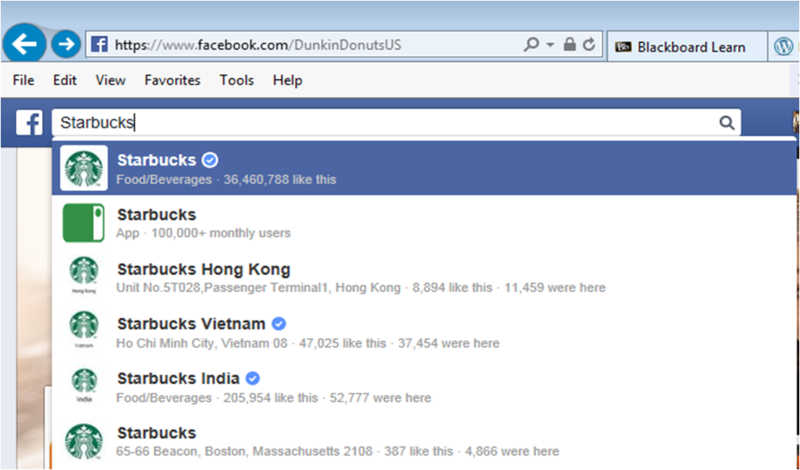 Similar to Dunkin Donuts Starbucks uses the same photos on both Facebook and Instagram. They also post to both platforms secretly. 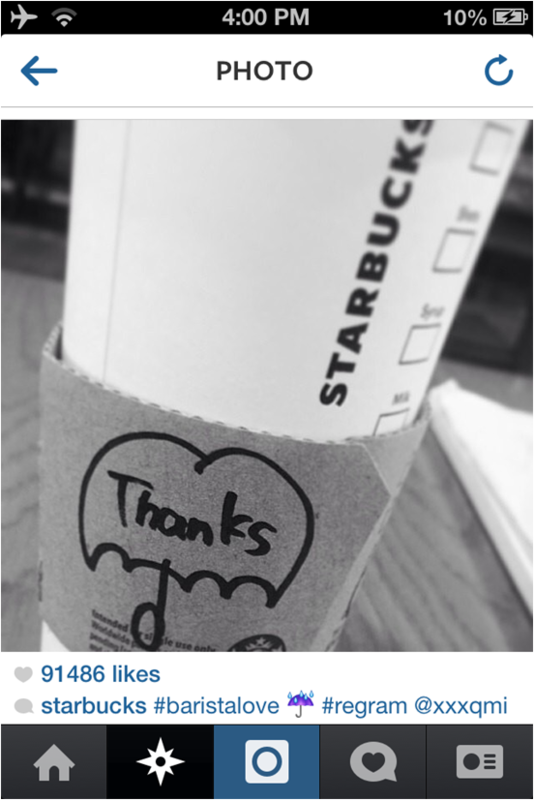 Starbucks uses all kinds of hashtags where Dunkin uses hostages rarely if ever. 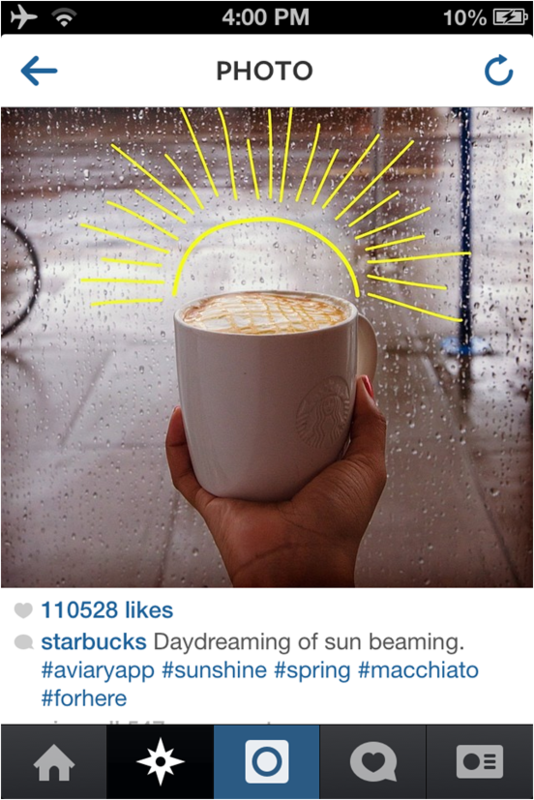 Starbucks seems to use Instagram a bit better than Dunkin (in my opinion). They like to use #regram when you use a post posted by someone else. This is interesting and I think really gets fans to from loyalty. Much like how Dunkin uses fan of the day. 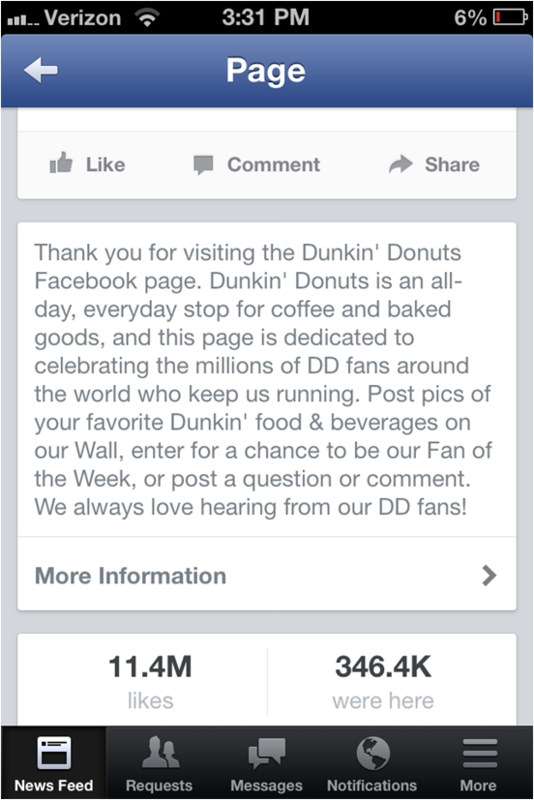 Starbucks has substation more fans than Dunkin on Instagram. Both companies have about the same number of posted photos. Personally I think Starbucks could focus a little action on their other beverages and food options. Dunkin is already doing this.